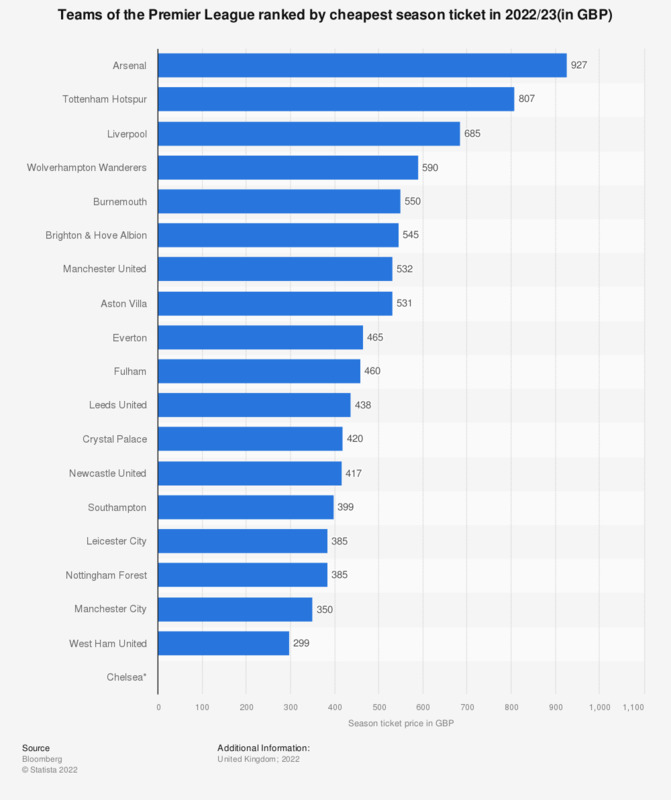 The statistic shows a ranking of Premier League teams according to the cheapest season ticket in 2017/18. Huddersfield offered the cheapest season tickets in the Premier League with the cheapest seasons tickets selling for 100 pound sterling. Everything On "Premier League" in One Document: Edited and Divided into Handy Chapters. Including Detailed References. Do you usually watch football live or as a summary (TV or video streaming)? How do you get information about football via social media?